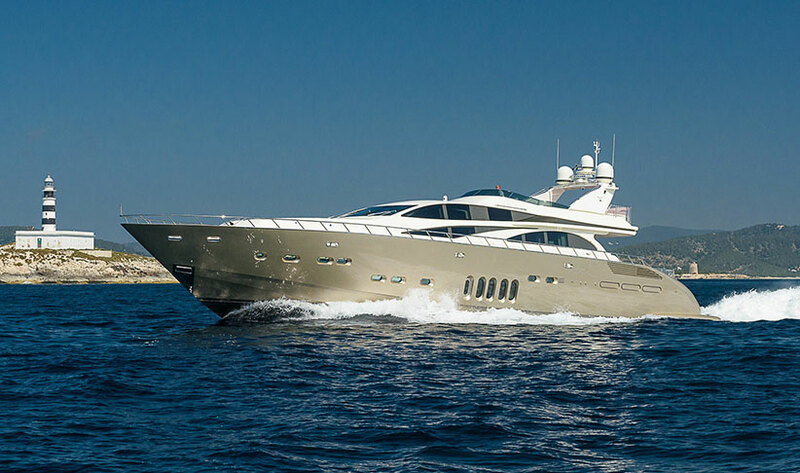 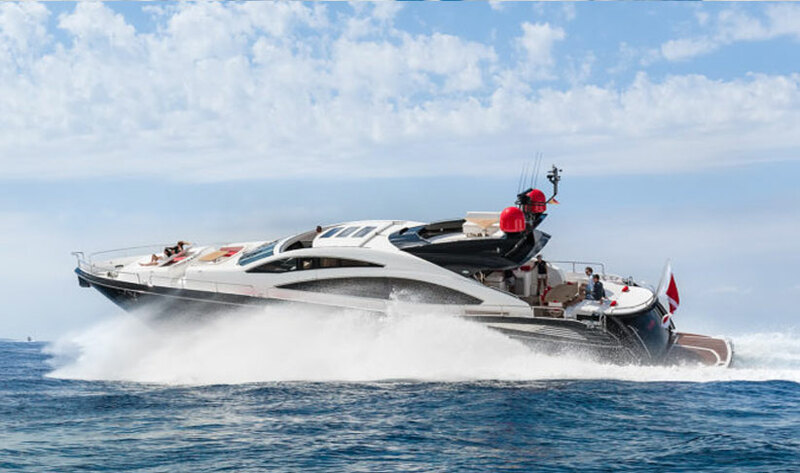 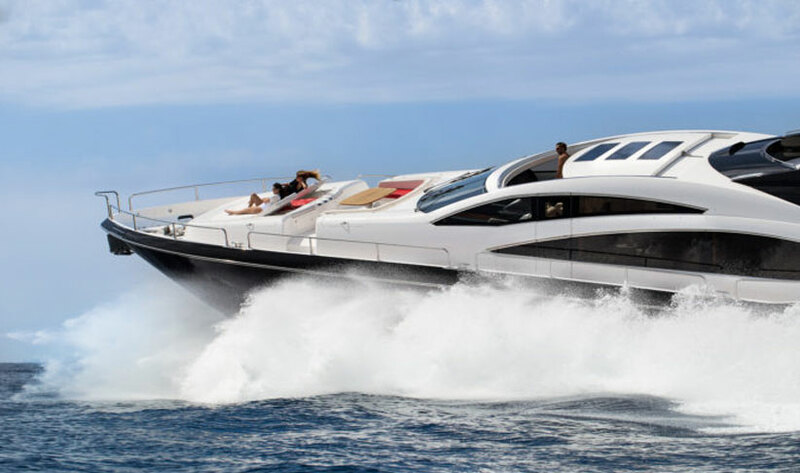 Designed for speed, the Sunseeker Predator 84 creates a lasting impression with her distinctive red detailing and impressive speed of 44 knots from her twin Arneson drives. 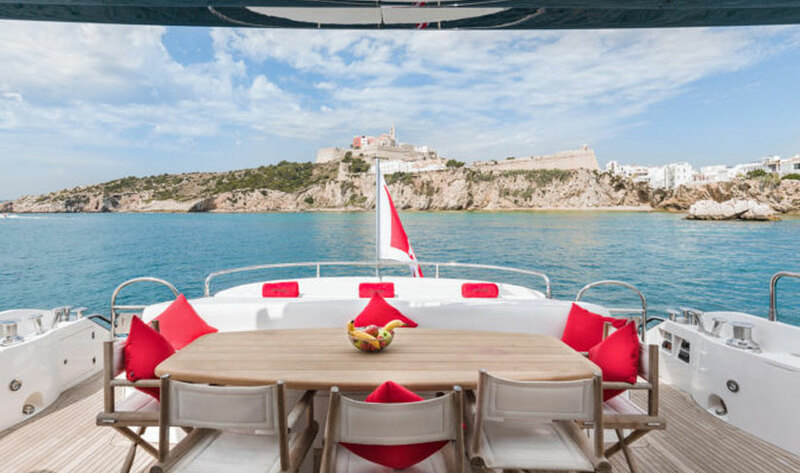 Accommodating 12 day charter guests and 8 overnight guests her crew of three are always available to make sure you are well attended. 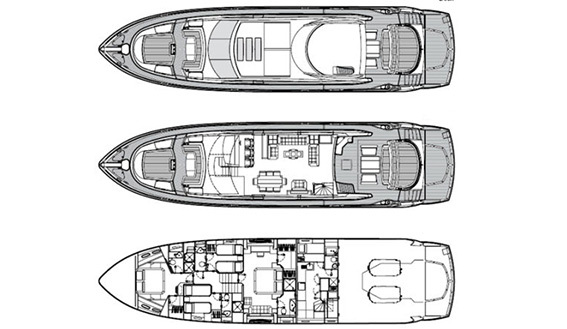 The formal dining space is fully integrated with the saloon. 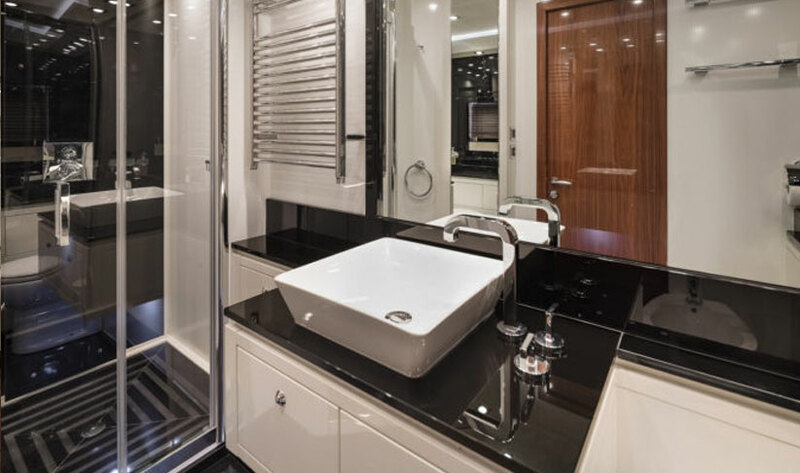 The hardtop retracts revealing a skylight. 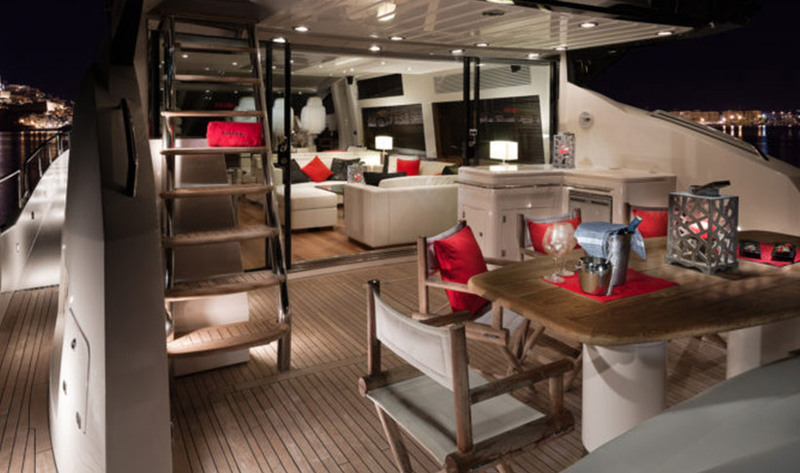 There is also a table for al fresco dining on the aft deck. 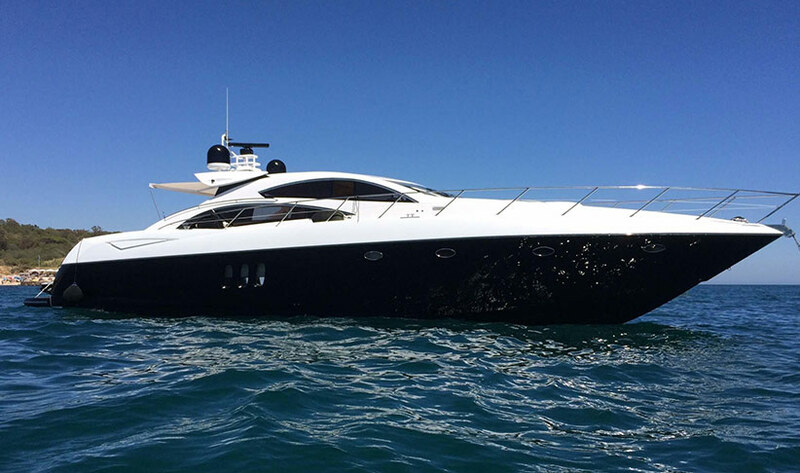 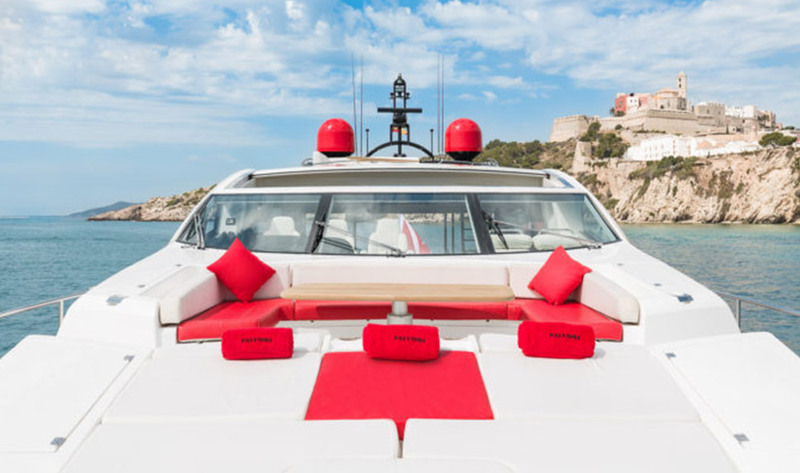 Part of the appeal of the Predator 84 is the experience of Ibiza and Formentera from the water. 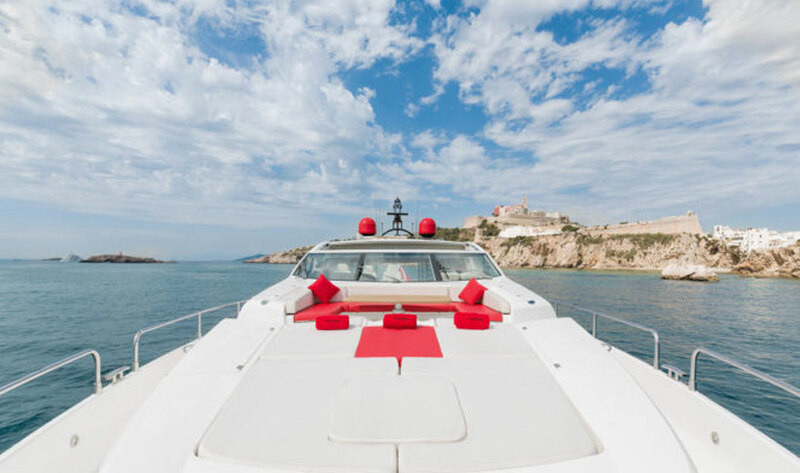 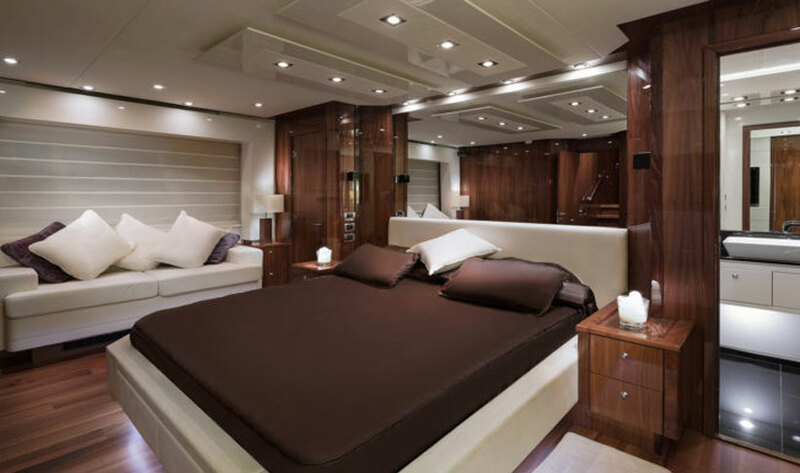 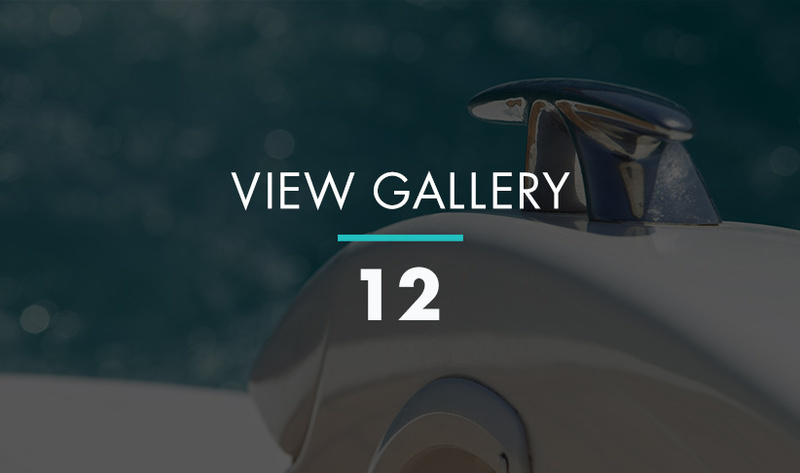 The boat has plenty of outdoor space to lounge and soak up the sun. 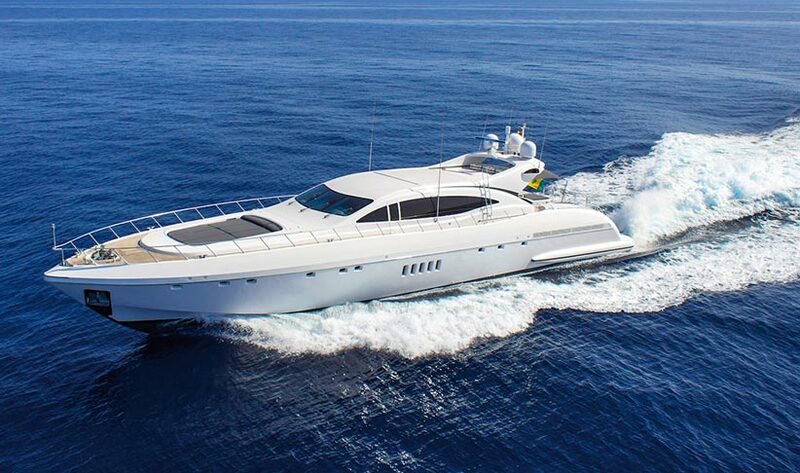 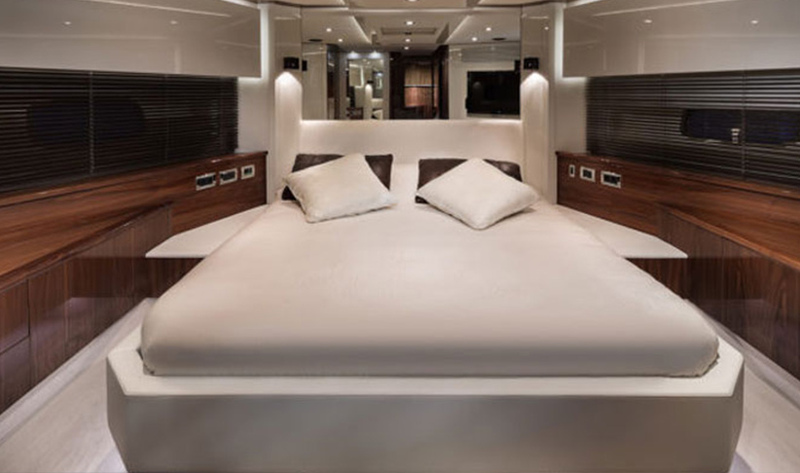 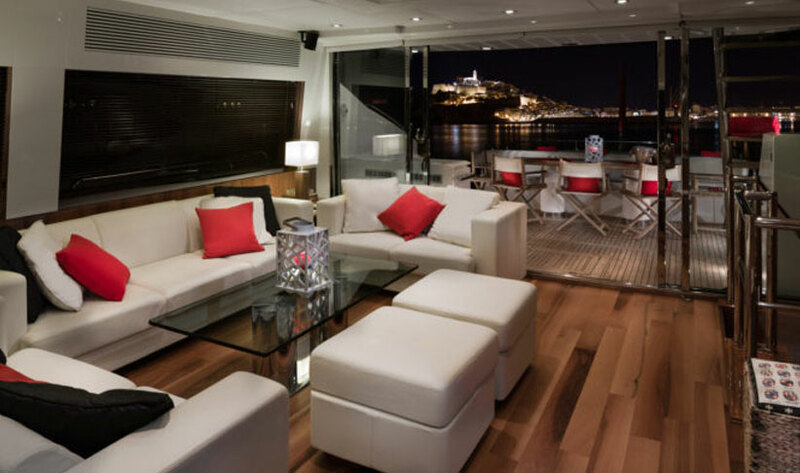 The aft deck has a dining/cocktails table and the foredeck has a settee and additional deck space, but at 44 knots, you may want to leave the drinks behind. 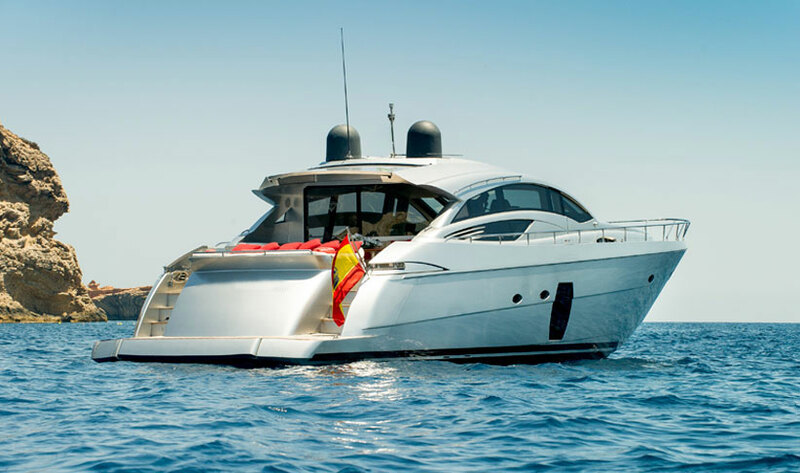 Standout in Ibiza this summer, this Predator 84 is moored in Marina Botafoch with easy access to Lio, Pacha and Heart.